I love chili! It's delicious and inexpensive, which is a popular combination in my house! It's easy to create a healthy version without feeling like you're robbing yourself of flavor. I typically use lean ground turkey for my chili. There's just something about ground beef that sends a chill up my spine. Don't ask me how I can eat ground turkey and not ground beef. I'm sure it stems from childhood trauma in which my mother put a healthy meal in front of me that I refused to eat. The nerve. I've talked about my mom's chili before when I posted this recipe for Chicken and Quinoa Chili (which actually tastes better than it looks in the picture). My sister and I would only it eat my mom's chili on top of saltines. 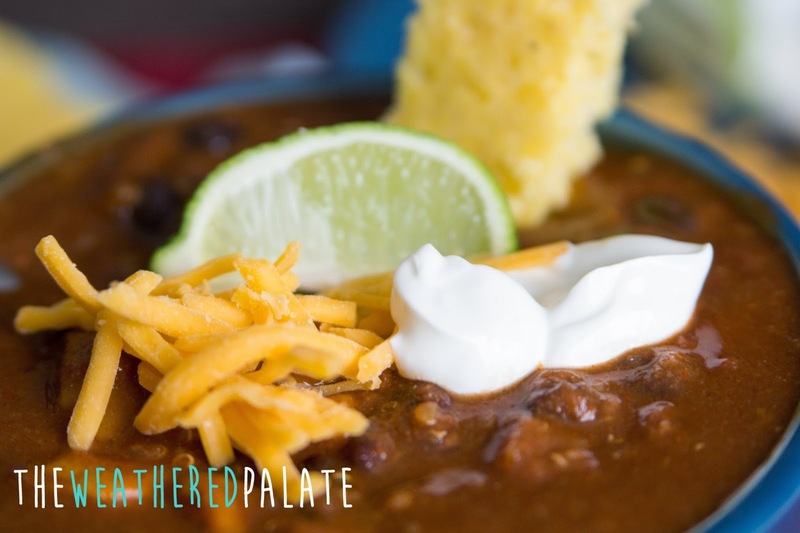 We would layer chili, sour cream and cheese of top of little crunchy, salty squares and eat until our bellies were bursting. Mmm...remember that Sis? Last month we had a Pumpkin Patch Birthday Party for my toddler. We painted pumpkins, served up chili and ate pumpkin cupcakes. The kids had almost as good of a time as the adults did ;) When I planned the food for the party, I had our a few of our guests in mind. One family has severe food allergies and intolerances so I wanted to serve something that would be easy to fix and would be safe for them to eat. 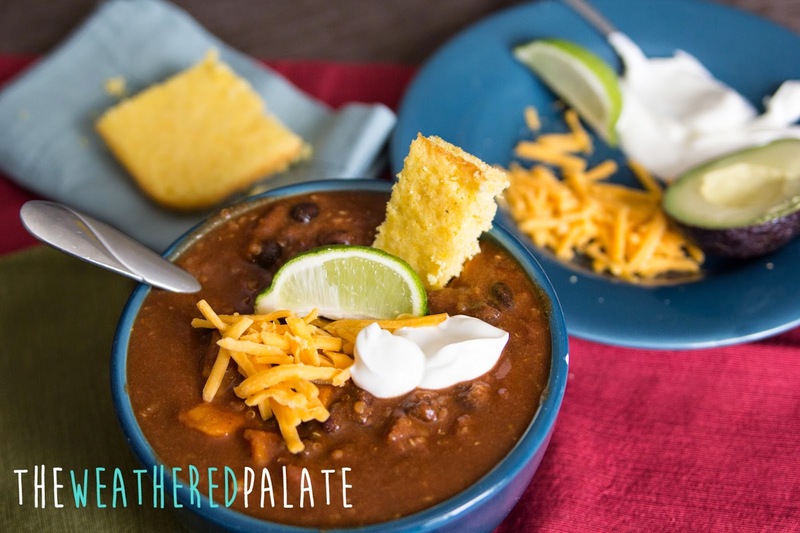 Chili to the rescue! I made two different kinds, turkey chili and sweet potato with black beans. 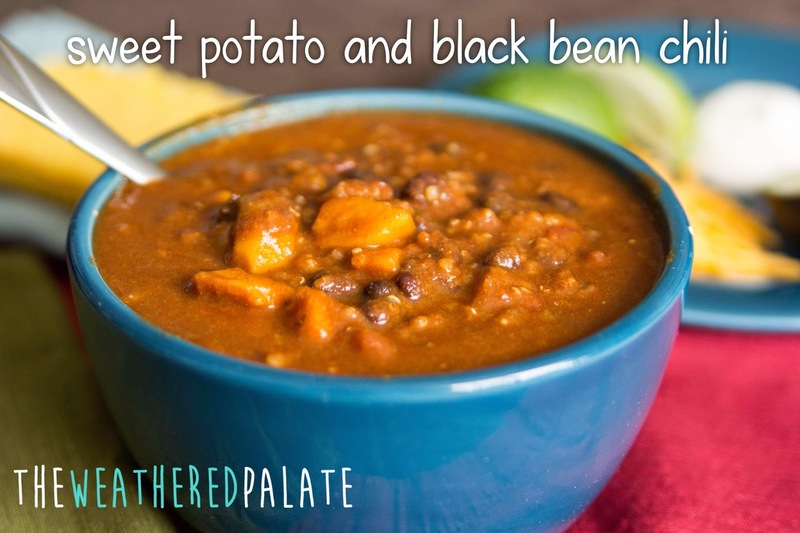 The sweet potato and black bean chili was a hit! It was loved by everyone! 1. In a dutch oven, saute onions until translucent. Add sweet potatoes and cook on low for 1-2 minutes. 2. Add tomatoes, water and seasonings, reserve the masa for later. Stir and bring to a simmer. 3. Stir in quinoa, cover and cook for 12-15 minutes. 4. About 5 minutes before serving, add black beans. Note: I cooked this chili the night before the party and reheated it just before the guests arrived. I've also made this in a slow cooker. 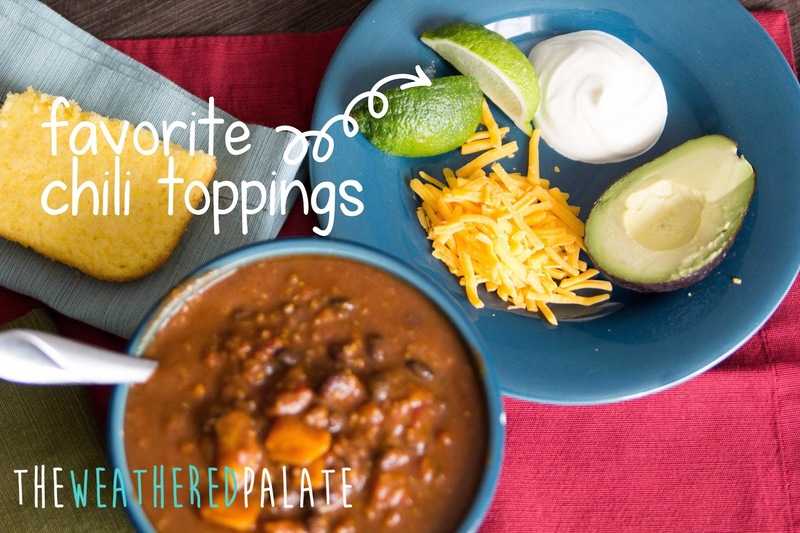 What's chili without the toppings? I love them all! 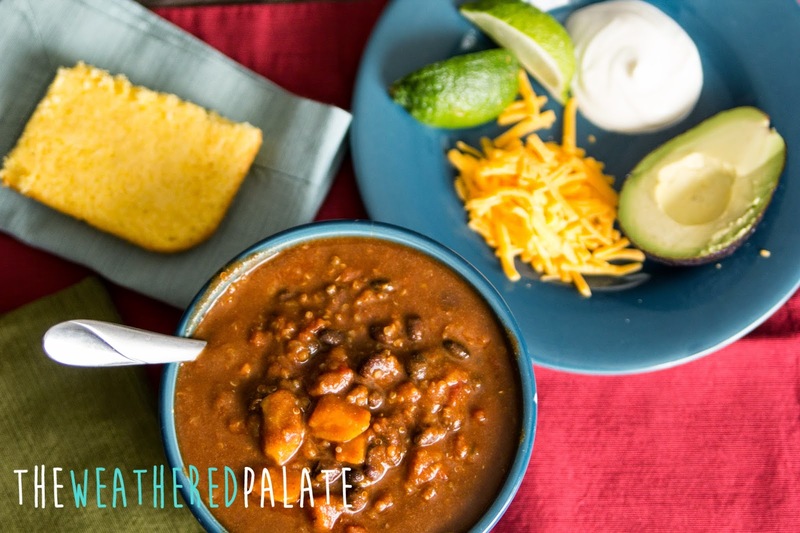 There's nothing like a spicy chili with the coolness of the sour cream and the sweetness of the cornbread! Mmm...cornbread! For our guests at the party, I made gluten free corn bread and made sure I had toppings I knew they could enjoy. Now that's a bowl of chili! Next time you find yourself wondering what to do for dinner, give this a try!